. Estate Liquidations Auction Services | Disposition Services | MOVING ON! When you need to sell your items but don’t know when, where or how to obtain the best prices MOVING ON! Services provides experienced, bonded professionals to plan, organize, execute and manage all the details. We recommend, arrange, conduct and or assist for best way disposition of the personal property. Should I hold an estate sale? An estate sale – which can be an auction or tag sale -involves bringing a number of strangers into the home. To begin, permits must be obtained; advertising placed in newspapers and on the internet; decisions as items to be researched, appraised, kept, donated or sold; all items should be cleaned, sorted and arranged and if a tag sale, then tagged with appropriate prices. During the sale, an inventory is made up of items sold along with the monies received for each item. How do I know if my household items or collections have value? There are many collector books & web sites available for research. Many ordinary household and personal property items have increased in value, and some collectibles have decreased in value. Some items can be very valuable, many have a modest value; just because an item is old does not mean it has a high market value. But, the existence of a collection may be a tip that there may be other significant items that require close attention during the sorting process. How do I sell a mixture of household assets? When there are many different types of household items and personal property all mixed together, the task can be overwhelming. The services may require specialized appraisers and significant sorting, inventorying and cleaning. If there is a lot of clutter, it can mean valuable items are hard to see, and may be in danger of being mistaken for trash and thrown away. The market has changed significantly; things we used to consider junk can have substantial value, certain antiques and collectibles may have decreased in value. When is the best time to sell household items and personal property? Generally household items and personal property can be sold anytime during the year. Sometimes people delay because of being overwhelmed with the tasks and don’t know what to do first, let alone – next. They may not be aware of how to achieve the best way disposition to pack to keep, sell, donate, recycle or throw away. I have personal property in multiple locations; How should I proceed? 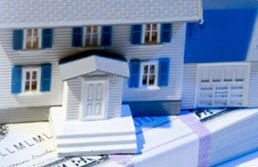 Personal property located in multiple locations can need very complex detail management. MOVING ON! can be a single point of contact which helps simplify a myriad of details, while helping bring focus and priority. Most people are busy already. Being forced to deal with many service providers simply because the properties are distant from each other, adds to the complexity. Our goal is to help you through the process.